Discover the coves of the Costa Brava, in Girona (Spain), by bike. This is the Costa Brava that does not appear in most of the travel guides. Many of its most beautiful corners still remain hidden to the less curious traveller. Take a dip in the best coves in a beautiful natural environment, surrounded by rocks and pines. 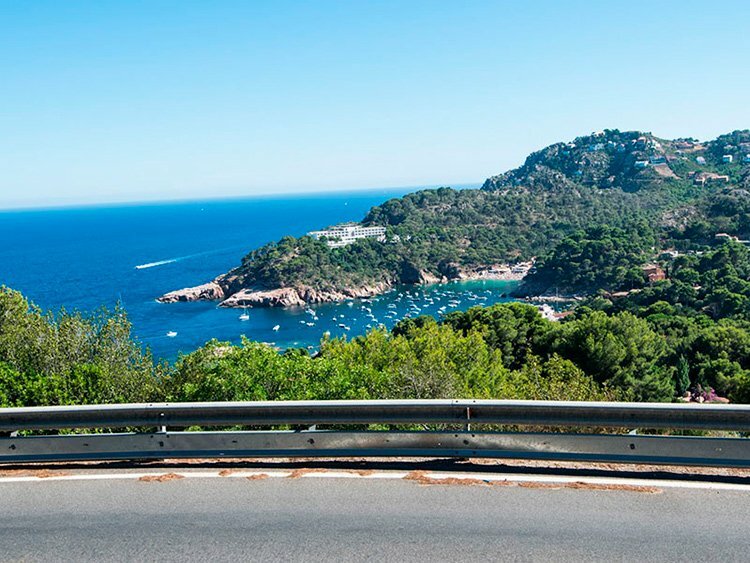 With this bike route, you’ll tour 35 kilometres of Costa Brava coves, starting and ending at the quiet coastal town of Palamós (Girona), where you can taste its famous red prawns, fresh from the sea. 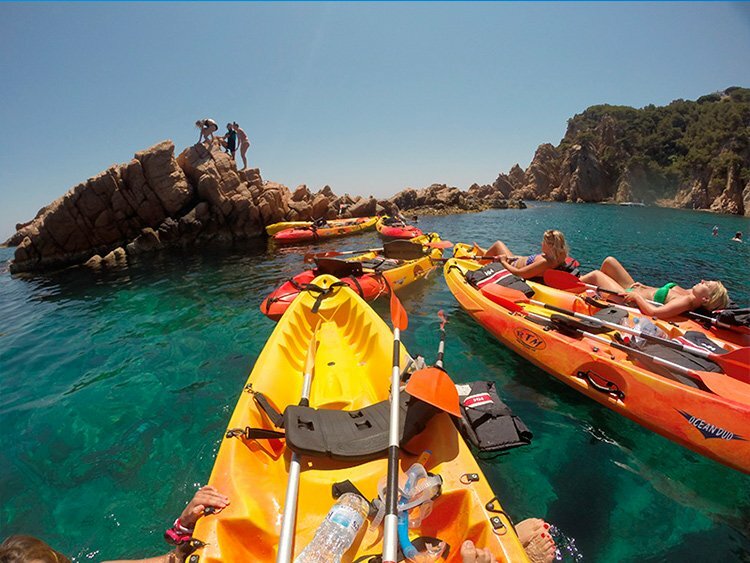 You’ll visit the most beautiful coves on the coast, such as those of La Fosca, Es Castell, Senia or Estreta. 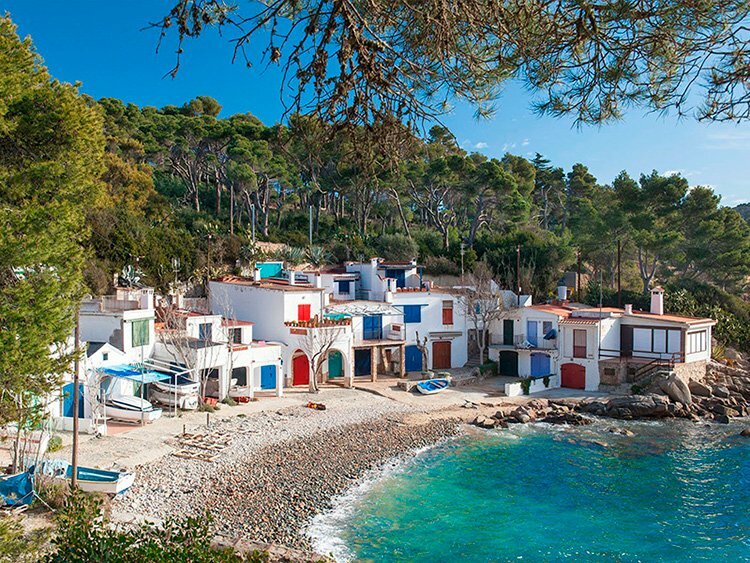 These small coves are less frequented by tourists and still preserve the true essence of the Costa Brava. They are little treasures. You can see coastal villages where time has scarcely passed and for which the sea still means everything. Places such as Llafranc or Calella de Palafrugell, where you can see small fishing boats stranded on the sand. In these small villages they still sing old sea shanties, or the famous ‘habaneras’, they drink “Ron Cremat“, fish with nets, and the old people gaze toward the horizon, knowing when the next storm will come. You’ll get hooked on the Costa Brava lifestyle. It is the Costa Brava of Dali, Truman Capote, Frank Sinatra and Ava Gardner, the Costa Brava that has practically disappeared, but of which some traces still remain, that you can still visit and enjoy today. Depending on the group, we can choose different variants for this bike route, but always combining mountain, beach, sea, sun, and views. And, if you want, a bath. If you want to combine it with other routes and stay at the Costa Brava for longer, check out our Ride Camps. 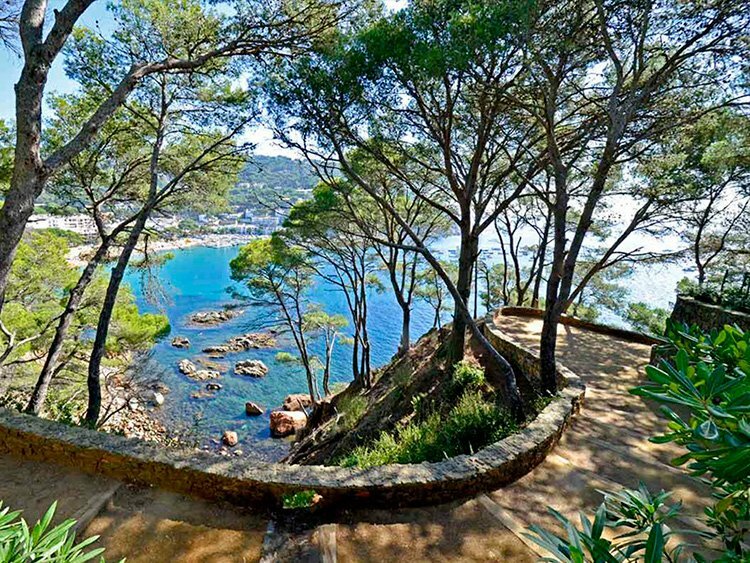 We’ll ride along coastal roads, passing by the beaches at La Fosca, Es Castell, Senia and Estreta, finally arriving at Cap Roig Castell, Calella, Llafranc and San Sebastian lighthouse. Return to Palamós via Palafrugell and Carrilet (greenway).